It has been a long journey. It took me 15 years. And still I need to prove to the world. More then anything it is a thinking process. I do not want to delete anything that I had written in past. Be it wrong or right. But what is important is – how I reached there. I want to let the others judge how I reached at the place where I am today. What should be done to get rid of the Diseases, may read this part only? Day 1 to 5 – Drink 200 to 300 ml water with each meal. 3 meals in 24 hours. So one should drink 600 ml to 900 ml water on these days. Day 6 and 7 – Drink 200 to 300 ml every 90 minutes to 2 hours from 7 am to 6 pm. So that will be 1200 ml to 2700 ml on these days. This will include drinking 200 to 300 ml water with each as well. On these 2 days also one should drink water with each meal. The above would cure all presently incurable diseases. And the period of recovery should not be more than 30 days. In most of the cases the person is supposed to recover in 7 days. I must mention here specifically Diabetes, Hypertension, Heart Disease, Cancer and stroke. There is no need of any medicines. The person who starts the above program can stop medicines on 3rd day. But that decision should be taken in consultation with his doctors. I expect the above to rule this earth in next 5 years. Some discussion on the above line of thinking. How to reverse the aging process? Day 1 – Drink 150 ml water (2/3 glass of water) every hour from 7 am to 6 pm. Avoid all other liquids/ fluids like tea, juice, milk, soda etc. Day 2,3,4 – Drink 150 ml water (2/3 glass) 1 hour before each meal. So total fluid intake on day 2 will be 450 ml. Eat 1/2 small spoon of sugar every hour. Total sugar not to exceed 5 small spoons in a day. No other substitute of sugar to be tried. No sweets, No ice cream and No soft drinks or juices. Repeat the above after every 10 days for first 3 months. Thereafter repeat Day 1 and Day 2 once in 1 month. Reduce the meal size by 20% of the existing meal size. Do not miss any meal. Just reduce the size of the meal. Restrict the fluid intake to 1000 ml rest of the days. Cut out all fruit juices, tea, soda and other fluids from your daily routine. But all these can be taken in moderation once or twice in 1 week. People having high blood pressure and taking medicines for a long time will have to be careful. Start hydration dehydration gradually. Take 1-2 months in increasing the gap between water on Day 1 and Days 2,3,4. Take blood pressure readings 3-4 times every day. Eventually the Diabetes, blood pressure and cholesterol will be cured. There will be relief from all types of pains in 7 days. This is how the nature wanted it. Day and Night is hydration / dehydration cycle plan of nature. Hydration is the process of supplying the nutrient rich blood to the cells. Morning Bowel movement takes place after 10 to 12 hours of dehydration phase. Walk for 2-5 minutes after getting up in the morning. At the end of walking you should be full of energy. So depending upon your age and health, you may walk only for 2 minutes. After walking get in the bed again for 10 minutes. Close your eyes and be in complete rest position. The excess energy produced by walking will be used by your vital organs resulting in very very quick recovery. So complete rest is necessary after walking. Do this walking and getting in bed for 1 hour. If you are short of time, rest only for 5 minutes. Do this routine for 1 hour before bed time. Walking during work hours will not count. Walking more than 5 minutes is bad for health. House wives and retired people should do this routine during afternoon as well. Target should be to walk 12 times a day. Walking and rest will cure heart diseases and brain related ailments in 30 days. I have updated Step 1. So if you are following step 1 there is no need for consuming sugar as per this step. But I am retaining this step, because of the explanation part. I have discussed the rationale of eating sugar below. I do not want to move the explanation part of sugar consumption. So for the time being I am leaving this step here as it is. Eat 1/2 small spoon of sugar every 2 hours. Sugar intake targets – Men 6 to 9 small spoons a day and women 4 to 6 spoons a day. Do not count sugar in tea. Stop tea as soon as possible. It is bad for health if consumed on regular basis. After every 6 days give a break to sugar. If there is shortage of blood sugar, the body will start destroying cells to produce enough blood sugar. This is the time when a person becomes Diabetic. Remember if you stop sugar, your blood sugar may go up. This may also raise your blood pressure for some time. So adjust your blood pressure medicine for some time. Check your blood sugar, blood pressure and pulse rate after 30 days. Based on the readings – if blood sugar reading is less then 200 random, blood pressure is 140/90, pulse is 90 bpm or less, plan to tapper off the medicines over 2–3 months. One should expect to cure high blood sugar, high blood pressure and high/ low pulse rate in 3 to 6 months completely. Read about inflammation on this blog and be your own master. You will never need to talk to your doctor again for any health condition. Ebola was cured using common heart medicines in 2015 after I sent number of emails to health organisations around the world highlighting the important of fluids and mineral balance. https://www.asm.org/index.php/journal-press-releases/93561-generic-heart-disease-medications-offer-promise-for-ebola-treatment. This link high lights that life threatening conditions can be cured using the concept of mineral balance in the body including multiple organ failure. This resulted in serious questions being raised on World Health Organisation’s working. But later everything went silent. The leading Digestive Diseases organisation (ddnc.org) in USA retweeted my tweet on the subject. The nobel prize given in medicine field in 2016 is on the subject autophagy which is based on the One Cure for All Diseases. If you added 10 grams of salt to 100 grams of water in the first case. The concentration of salt was 10% in water. By adding another 100 gram of water the concentration of salt will be 5%. 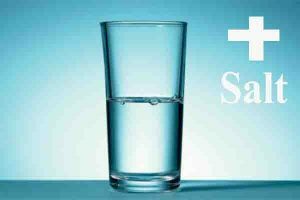 In case 2 – when you decided to take 1/2 glass of water, the concentration of salt increased to 20%. So one can increase or reduce the concentration of salt in the water and salt mixture by changing the amount of water in the glass. About 65 to 75% of the body weight is total water or fluid in the body. About 39% to 45% of the body weight is represented by fluid in the cells of the body. About 20% to 23% of the body weight is represented by the fluid between the cells. About 6% to 7% of the body weight is represented by the blood. So in case of a person weighing 70 kg, the blood will be 4.2 liters to 4.9 liters. Blood is 10% of the total fluid. Rest of the fluid is there in cells or gap between the cells. Blood interacts with rest of the fluid all the time. In 10 days all the fluid in cells and between cells would have shed all the excess minerals that it carried to the blood and hence the blood needed to be recharged again after 10 days. Since blood is 4 to 5 litres in an adult one should not bring more than 5% change in the blood acid levels, so 200 ml water. Children and sick and elders carry much lower blood volume and hence they have been suggested lower water volume. Larger volume of water at a time will act as Trauma and will be very harmful in long run. If the medicine is taken in the form of tablet or liquid it goes in the food pipe, stomach and small intestines and then absorbed in the blood. This whole process takes 2 to 3 hours minimum. In a hospital setting, you are given an injection in the blood so that the reaction is faster and the patient can get relief faster. The mineral added blood is then filtered by liver and after that the blood is filtered by Kidneys. Kidneys remove all excess minerals and preserve the minerals which are in shortage in the blood. Then this filtered blood goes to the heart to be pumped to the cells of the body. So that would mean that till the time our liver and kidneys are working optimally we can not get sick or suffer from any health condition. Our cells will get only those minerals that are needed by them. So every disease is an indication of malfunctioning of the liver or kidneys or both. When you take the prescription to the chemists, he must have told you a number of times that prescribed medicine is not available but medicine of some other brand with the same salts is available. That should be enough indication to you that medicine systems are trying to deliver some salts in a particular combination to cure a disease. So you can say that medicines are given to restore balance between various minerals of the blood. Or in other words – medicines are given to change the concentration of the various salts in the blood. In the above example the allopaths may add some sugar to make the excess salt palatable. Allopaths can add many substances to the water and salt to make it palatable. Remember that allopathy provides symptomatic relief. ie they will focus only on making it palatable. In class there are 20 students. 5 students are always creating problem, fighting with others, shouting and indulging in unruly behavior. After these students created a bad situation, teacher comes to class and thrashes 2 of the remaining 15 students. That will have the impact of calming those 5 students as well who created the ruckus in the class (to some extent). In politics, administration and judicial system also same principle is often used. But some how I can not digest this principle as the only solution. You may take your call. But remember that it will not cure the diseases. There will always be addition of some more students out of 15 who will join the group of 5 students. Ayurved, Unani and other medicine systems will also do similar things in different forms and with different terms. Homeopathy relies on a different principle which could have caused cancer and AIDS. Read the AIDS section on this Blog to understand the principles of Homeopathy. These medicine systems seem to give an impression that they have a diagnostic system which can accurately figure out which minerals are in excess or shortage and what is the cause of such excesses and shortages of such minerals. There is no way any medicine system can figure out the relation among various minerals and other health elements in the body. What is the right quantity of a mineral in the blood will depend on the quantity of other minerals in the blood at a particular point of time. Until the relationship of every minerals with the rest of the minerals can be found out, there is no way allopathy can be effective. Just consider a case from last 50 years – 50 years back the doctors, scientists, school teacher everybody started telling that calcium supplementation is good for bones. People started taking calcium supplements and in next 20 years the bones became worse. They changed the course – they started saying that calcium supplementation should be accompanied with Vitamin D3 supplementation. 20 years later the bones deteriorated further. Then came Omega 3 and Omega 6. It took about 10 of further bone deterioration to conclude these are also useless. Not only that bones became worse, there was irreparable damage to heart, increase in stroke cases, liver and kidney damage. There is no way, you can expect a cure in the form of a medicine in the next trillion years. That is simple mathematics which will be covered later here. I have been threatened a number of times that I should not be giving a false hope of a cure to the patients who have been declared by other medicine systems to be incurable. They claim that it is illegal and a crime in countries like USA. How many of you have seen claims under allopathy, ayurved and homeopathy that they will find the cure of a certain type of cancer in next 10 years. I still remember that when I was in school I used to see every year some claims that there has been a new discovery/ study and now it is expected that there will be cancer cure in next 20 year. That was about 40 years earlier. But still there is no cure. And if you like, join Quora.com and see the answers of cancer specialists on cancer questions and you will be shocked that they are certain that there will be never a cure of cancer. In fact truth is that most of the cancer specialists have members of the family who have cancer or who have died of cancer. The reason according to me is wrong approaches practices by cancer specialists on their family members. May be it is ok for big companies to get away with all sorts of crimes. Laws are made to give a monopoly to the rich and influential people. Let us say there are 2 minerals in the blood. X and Y. Let us say kidneys can filter X mineral if it is in the range of 100 units to 200 units (2% to 4% of total blood volume). And let us say that kidneys can filter mineral Y if it is in the range 500 to 600 units (10% to 12%). Let us assume that mineral X interacts with Mineral Y and uses up mineral Y while trying to save the body from adverse effects of excess of mineral X. This can also be explained as – Every mineral has 2 functions in the body. One – primary function. Second – Defence function (In this function the mineral is used up when another mineral goes in excess). Now due to excess consumption of mineral X, mineral Y gets reduced below 500 units (say 400 units) over a period of time. Due to shortage of mineral Y and excess of mineral X the kidneys will not be able to filter X efficiently and save the body from the adverse effects of excess of mineral X in the blood. So over a period of time mineral X will increase to say 300 units. Let us assume that blood in the body is 5000 ml. The normal range for X was 2% to 4%. The normal range of Y was 10% to 12%. Now our body has 6% of mineral X. So the efficiency of kidneys will suffer further and there will be build up of mineral X in our body causing depletion of many other minerals along with mineral Y which is below 10% in diseased state. Let us assume there is no urine output. This is to make the things simple to understand. Without this assumption also the effect will be same albeit somewhat less. Now the person gives up all fluids on day 2. The person will experience dehydration. But the dehydration will be slow and gradual. And kidneys will sense the urgency of the situation and will keep on removing the excess on day 2 as well. Otherwise also last 24 hours experience of dealing with the excess of mineral x will make the body give top priority for removal of mineral X. 24 hours dehydration may cause the total body fluids to reach 4000 ml by the end of the day. Now mineral Y will be 10% of total fluids and hence it will work more vigorously to keep mineral X in 4% range. While mineral Y was less then 10% (at 8% of total fluids) it was not working to contain mineral X. Or we can say that the primary function of Y and defence function of Y both will be restored after 48 hours. If we assume the minerals, vitamins, proteins, FATs, carbohydrates and other chemicals in blood are in excess of 128, it is impossible to find out what is in excess in our body. This can be found out only if we are able to understand the 128 variable equations. Each minor change in a mineral results in changes in the requirement of every other mineral of the body. I took a very low hypothetical number of 128. In real life the number of elements in the blood could be well above 1 billion. A super computer will not be able to decode a 128 bit encryption even in billions of years. So simply forget about decoding 10000 bit encryption of the human body. Though the super computer handles millions or billions of possible permutation in each second compared to 20 years for handling one possible permutation in the case of medicine. So we may need to do the above process of hydration / dehydration cycles regularly. May be every 10 days. Blood is only 10% of the total body fluids. Every medicine has side effects. You can find the same by googling any medicine. But whenever I tried curing a disease using one cure for all diseases, people reported improvement in other conditions as well. The funniest part is that people did not consider the other conditions as disease. People think that it is part of the genes which give them those disease conditions. Genes are only mode of storing recent past history of the body (you can treat it as a sub-routine to save extensive calculation to be done by brain every time a health condition is to be managed. So there is no hereditary condition that can not be altered by carefully managing the fluid intake. Every disease is caused due to inflammation. Inflammation is control mechanism of our body. Excess of exercise also causes inflammation. So walking for 5 minutes will push the nutrients into cells. But before the inflammation process starts, we get in rest mode causing the stoppage of inflammation much before it starts. Rather this is 100 times more powerful process resulting in anti-inflammatory response in the body. Let us understand how our body works. We eat foot. Food goes to stomach, then small intestines. From small intestines minerals are absorbed into blood. This blood plus minerals is filtered by Liver. Then this filtered blood is again filtered by the kidneys. Kidneys ensures the right proportions of all the minerals. Kidneys are responsible for maintaining the pH level of the blood. For maintaining the pH level of blood there has to be right mix of various minerals and other substances. Then this double filtered blood goes to the heart to be supplied to all the cells of the body. That is where most of the fluid of the body is present. With the help of the mineral and blood the cells carry out the metabolic process which generate the energy (calories). Then this energy is supplied back by the cells to the muscles and internal organs for sustaining life and doing other external physical activities. Now at a particular stage of health, our body produces a particular amount of energy. With the changes in food intake the metabolic process of the body does not increase at all. Let us say person A eats 2 Roti 3 times in a day. That will be 6 Rotis in 24 hours. Let us assume further that the body of person A produces 2000 calories out of the food that he eats. Now if person A starts eating 4 Rotis 3 times in a day, his body will not produce 4000 calories. Rather he will become sick as his body will try to get rid of excess food that he has eaten. In this process the body will spend some extra calories. So the net calories will be 1800 or even less. In the same way if we exercise 1 hour extra on a day, we do not burn more calories because we are limited by the amount of calories that our body produces. And irrespective of what we eat, our body produces only 2000 calories. The average Resting metabolic rate is 1 calorie per minute. During resting conditions our heart, brain, liver, kidney and other life sustaining processes consume energy. This is called Resting Metabolic Rate (RMR). While walking we burn 5 calories per minute. So there is an increase of 4 calories per minute. Walking causes changes in our heart rate and other life sustaining processes. These changes cause higher energy consumption by our vital organs. When we start exercising some chemical changes take place which causes release of energy from energy stores of the body. Once energy is released from the energy stores it cannot be stored back in those stores if it remains un-used due to some reason. During the time of activity the cellular metabolic activity remain at the same level. There is no way that the body will focus on supplying more blood to the cells for fresh metabolic activities. The body will be fully engaged in providing energy to the limbs involved. Next question is how the additional demand of energy for physical activities is met. Total calorie production is almost fixed in the short run. So the additional demand for the physical activities is met by reducing the energy allocation for the vital organs. Otherwise we would be losing the weight every time we spend energy in any physical activity. The only weight reduction that happens in the start of a new activity is by way of reduction in the stores of FAT or energy that may be required by the body. Over a period of time the body adjusts to higher levels of physical activities and it starts keeping higher reserves of the energy for the vital organs. That is why after a while the weight is gained. The other cause of the weight gain is lower energy allocation for the vital organs. This is evidenced by fatigue experienced after an intensive exercise. I have so many friends who went through this process. My personal experience – I started playing badminton for 1 hour every day. In next 3-4 months I lost weight from 75 kg to 69 kg. I increased my playing time to 2 and more hours after 4-5 months and I weight 74 to 75 kg after 6 months. My friend weighed 94 kg. He was playing badminton on week days for 2-3 hours. He started playing badminton on every day for 1 hour in the morning and 1 hour in the evening along with 1 hour swimming. In next 3 months his weighed 89 kg. After 6 months he was weighing 95 kg. Lot of other stories as well. The more one played the more weight he gained over a period of time. Take the cases of Dancer in old age. Most of them gain weight as they age, even though they remain active through out their life. Geeta Madam, Saroj Khan to name a few. With the slowing of the internal organs the toxin build up in the body starts. More oils (choesterol) reserves will be there to take care of the physical activities. Lowering of Resting Metabolic Rate (and performance of the vital organs) is deadly. It is when the metabolic syndrome starts. It will take the form of thyroid disorder, high blood sugar, high blood pressure, heart disease, stroke etc. The worst part is that more then 40% of the Resting Metabolic Rate is for the energy needs of the brain. So all brain related disorder will be due to excess physical activity. With the lowered performance of the vital organs, the heart will push the blood to lesser area. Less number of cells. That means the energy generation will suffer further. It is a vicious circle. To break this vicious circle one has to increase the energy allocation for the vital organs. Walk for 3 to 5 minutes in the home at easy pace. It will cause slight increase in the heart rate and increase the supply of energy to all the vital organs. Let us say that before we started walking, our resting metabolic rate was 1 calorie per month. While walking our RMR increases to 5 calories. The break up of this 5 calorie will be 1 calorie for vital organs plus additional 1 calorie for higher heart rate and other organs working at a higher rate to take care of the higher energy needs of the body. Now before you get tired, stop walking after 3 to 5 minutes. You heart rate will not slow down immediately. After you practice it for few days, you will find that the heart rate is elevated for even 30 minutes after you stopped walking. Increasing Allocation of energy for vital organs will result in clearing the toxins. Like cholesterol etc. Increased heart rate physiologically means that heart will be able to supply rich blood to more number of cells resulting in increased energy production as well. Remember now the heart is beating faster when you are resting. So here the heart is not beating faster to supply energy and blood to the organs involved in physical activity but organs which are not involved in any activity. Fresh cells which were deprived of the blood supply earlier. The hydration / dehydration cycle results in maintaining good health. But it does not reverse the aging process. The step no. 1 cures even critically ill person. Because there is no revival of weak or dead cells in the body. That will happen only when blood supply improves to those cells. Walking for 5 minutes causes the channeling of the energy in general. And when person gets into resting mode, the channeled energy is tapped by the vital organs resulting in pushing the blood by heart to far off / extremities of limbs. Resulting in higher cellular metabolism of the entire body. This helps in age reversal. But stop here for a minute. I lost about 7 kg weight from April 2016 to September 2016. After that I got stuck. I am not losing weight for last 3 months or more. But the good part is that I am not gaining weight even if I stop walking. I believe that as with hydration / dehydration this also has certain cycles programmed to take care of a situation where a person simply keeps on losing weight. So after a person hits plateau (stops losing or gaining weight) one should start heavy duty exercises to begin losing weight again. My friend with whom I shared the above theory lost 10 kg after starting the above activities alternatively. During hydration / dehydration process the pH level of the blood fluctuates wildly causing health parameters to freak out. Sugar acts as a buffer and controls the pH fluctuations of the blood. 1/2 spoon of sugarevery 2 hours is very reasonable need of the body. Without adequate blood sugar levels the chemical reactions resulting in increased flow of energy will not take place. This is the most important aspect to recover from any ailment. These low amounts of sugar will help you recover from diabetes and 100s of other diseases. Do not make the mistake of believing the rumours spread by pharma cos that sugar is bad for health. Lack of sugar kills people. It causes all skin issues. The statement that sugar causes diabtetes is a mis-conception. I have spent considerable time researching the other conditions that diabetics suffer. I have come to the conclusion that all the other conditions are aggravated because diabetics stops consuming sugar. The above link discusses – how pancreas works to control our blood sugar. Pancreas releases insulin to provide steady flow of glucose to the cells. Insulin is not meant to remove the excess sugar from the blood permanently. Insulin simply helps to stores the sugar temporarily when there is a surge of blood sugar. Another chemical from pancreas, glucagon is released when the blood sugar falls below a particular level. Insulin is not used in the blood to remove the excess blood sugar permanently. The main job of insulin is to provide steady flow of sugar to the cells. Our body has a control mechanism which is called inflammation. Whenever there is excess supply of a mineral or other substance the inflammation process causes swelling in related organs involved and cuts off further supply till excess supply is used up. The inflammation resolves on its own most of the time. When the excess supply continues with the blockage caused by swelling / inflammation, there is tissue break down resulting in resolution of the inflammation. Now it is very important to understand why there is need to maintain the steady flow of glucose to cells. There are 900 trillion cells in human body. These cells burn glucose in the presence of oxygen to produce energy to carry out the life sustaining processes. By the sheer number of cells in human body, one can get a clear idea about the size of the cell. It is very tiny thing. If excess sugar reaches the cells it will burn out of cells. To remove the dead cells from the body inflammation process will start which will essentially involve movement of excess fluid in the area where cell death has taken place. When there is excessive cell death then excess fluid cannot remove the dead cells because adjoining cells will block the way. This will result in cancer tumors. In the cell/ tissue break down unused glucose will be released which may be removed from the body or may get stuck in blood causing diabetes. My father (age 80) had gangrene and black nails on foot. Both are caused due to stoppage of blood supply to the area. I started giving ½ spoon of sugar every hour to my father and in 6 months the gangrene and black nail resolved on its own. So it shows that right amount of sugar promotes blood circulation. My mother (age 80) also had gangrene. She is diabetic and insulin dependent for last 40 years. But after seeing the health status of my father she agreed to start taking ½ spoon of sugar every 2 hours. In about 4 months she stopped using insulin. Her Echo test improved in next 2 and half years from 30% to 35%. No change in Kidney functioning. Or may be the kidney functioning improved but due to discontinuing sugar for more than 1 month it deteriorated again at the time of creatinine test and was back to the previous level. During the last 2 years or so the health status of my mother was perfect with much better quality of life. By the time I reached the above conclusions, both the parents could not do step no. 2. I believe that all these 3 steps will help in reversing the aging process. My mother used to get high potassium and required frequent hospitalisation about 3 years back. During one of these hospitalisation I realised that though at the time of hospitalisation blood sugar of my mother was well above 550 or so but still she was administered Dextrose in IV. There is 25 gram dextrose in a bottle of 500 ml. This is almost equal to 25 grams of sugar. Along with it the hospital used to give insulin. Why the hospital administers sugar when the patient already has a very high blood sugar level. I read about potassium. 2% of total potassium is in blood. Rest of 98% potassium is there in the tissues. When the potassium in the tissues starts coming out the blood sugar increases. But the insulin can not send the potassium back in the tissues. Because high blood acid causes more potassium to come out of the tissues. In such a condition sugar send the potassium back to tissues. That means sugar is essential to repair the damaged tissues. This can be interpreted to mean that sugar (white normal sugar) is essential for maintaining the tissues in the perfect health. Second conclusion I drew was that in diabetics in the absence of adequate intake of sugar, tissue damage takes place resulting in organ damage causing heart disease and stroke. My mother has been taking 3 to 4 spoons of sugar every day. It helped in maintaining her sugar levels without insulin injections. That was surprising. The more shocking fact is that once she stopped taking sugar the blood sugar levels jumped. I tried this with other patients as well and found the same result. Within days of discontinuing the sugar intake the blood sugar jumps. It goes as high as 450 or 500 from a steady level of 150 to 200. Step 4 is confirmatory and does not require any explanation. Real practical cure for me after a long time good easy steps for good health. 1) On the days where you are consuming 10-12 glasses of water, is the water in food, coffee, hot chocolate, tea counted towards that total amount of water? 2) On the days where you are not consuming the 10-12 glasses of water, how do you account for the water in food? There is plenty of water in vegetables, fruits, even CHEESE! 3) Salt/potassium plays a role in urine excretion/retention. Should we be paying attention to how much/little we salt? I have very low aldosterone and so I crave salt very much. I use it liberally. How do I use salt during this protocol? water in foods to some extent is just fine. Liberal salt use is ok. If with liberal salt use the things do not work, try restricting salt to some extent. There is no need to eliminate the salt. I find a lot of logic in this school of thought. I have always believed in the body’s inherent capacity to heal itself. At the most it needs healthy support but certainly not harmful chemicals. I hope you would like to read the updated web site. Please do write your comments. But You cannot blame medical negligence on doctors because they followed the protocols. If the protocols are wrong you can not hold the doctors responsible for that. You described the conditions. But you did not mention what you think constituted medical negligence. If you look at my suggestions they are a way for healthy life. But there is so much of negative things around for decades around. Every one is so confused. What about the food intake ? Can one take normal diet during this experiment or cut down on the same ? Please advice . Normal food intake is ok provided that normal food intake is not too much keeping in view the profile of the person. Tea and coffee and all caffeine things are strictly no no. First one may increase the water intake for 6-7 days and try giving up tea, coffee. The withdrawal symptoms of tea etc lasts 3 to 7 days. So one will have to bear with that. Good health information to know. The whole strategy of your treatments depends on the notion that every disease is the outcome of imbalance (shortage or excess) of chemicals in our body. We called such chemicals as metabolites, the end products of metabolisms occur in our body. These metabolites represent the outer landscape (Phenotype) of organism not the underlying causative reasons responsible for that landscape (Genotype and environmental effects).The balancing of such altered metabolite level may change the adverse effects for some extent because of existence of normal feedback mechanism exists in the body. Genetic disorders can consider as best contradicting example against your hypothesis. Even though the idea seems good but claiming as “one cure for every disease “ is an exaggeration. Allopathy and Ayurved both take the same route. But gets lost in the maze of complications of the body. How have not compared my theory with Allopathy and Ayurved. That indicates to your bias. You think that genes define the outer landscape and I think the outer space defines. Genes are small subsystems which work in accordance with our outerspace. Change in the outer space brings the changes in the genes. Milk is not digested by Kids in Asian countries after the age of 5 years. The scientific reason of that has been explained to be a gene which is switched off for some reason after the age of 5. The growth of the child from 0 to 5 years is very fast. Thereafter it slows down. But due to bad effects of marketing the kids are fed milk till very late age. The calcium and other proteins will damage the bones if an excess calcium is built up. So it swtiches off. There are 100s of other conditions which will prove that outer space defines the inner space / organisms. The new trends in biology says that your gene-environment assumptions are right, gene-protein-function concept only a partial truth. Personally, I believe in more holistic systemic biology approach rather than conventional reductionist approach. I would like to prefer you to read the following writings for more information about this new biology going to emerge in coming years. At the same time, as a science student I am bound to oppose the use of irrational (without the support of evidence even if it is true as well) concepts like urine therapy or else. Thanks for the links. I have taken note of the same. It will take me some time to read them in detail. Meanwhile I am addressing the issues raised in your paragraph. The discussion will reach no end unless we restrict ourselves to a domain. The starting point is my theory. You are responding to the statements made by me on my web site. 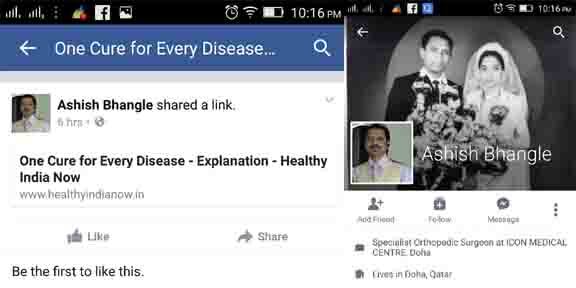 If you have looked at the web site and seen some other links as well, you will agree that the medical science failed to cure sepsis of my father. They gave up on him. But he survived inspite of all odds. There was complete recovery of every thing. He hand broke from close to shoulder. Doctors said in this age there will be no recovery. That recovered at the age of 80. My father had osteoporosis. He had two hip replacements done 6-7 years back. That recovered without any medicine. Today his osteoporosis recovered. He had prostate issues. About 4-5 years back that had started giving trouble. For last 4-5 years he used to wet his clothes. Not any more there is no prostate problem now. My father had CKD stage 5 problem. No such problems now. He was on tagritol 400 mg for last 20-25 years. No medicines now. I have no idea of what is gene protein concept. But I seem to feel that these concepts will not be clear to mankind ever. The issue is that as the medical science stands today (let us forget about future) – is there any better approach then mine. I am not using reductionist approach. I am using inclusive approach. I am using limitations of science to my advantage. Do you think that medical science as it stands today or as it will reach in next 50 years – will we be able to diagnose even 5% of the elements which determine out health. I will never agree on this point. If not – what are we trying to prove to people. What medical science does today – is not less then cheating and fraud. Can medical science survive today even for 1 month after admitting that the diagnosis available today are extremely limited and they mean nothing. There is hardly any difference between neem hakim and a well qualified doctor today. May be a neem hakim knows 0.0001%. The well qualified doctors will know about 1% of our body. That is not enough by any standards. Sir I have IBS-D , what should do ? The mention in this article of homoeopathy immediately tells me this person knows nothing about medicine and is a charlatan! I’m afraud Homeopathy has been thoroughly disproved. It is nothing but water or sugar pills and book your nothing. It has been shown to have no more than the placebo effect. There is no scientific basis for it. Anyone not drinking water for 36 hours but eating a lot of salt will become extremely uncomfortable and dehydrated. To delay treatment while following this nonsensical regime could even kill people if they do they have a serious condition. No where I said that water routine or other things are to be done in extreme cases of emergency. No where I said that one should not drink any water for 36 hours and consume lot of salt. No where I suggested to get extremely dehydrated. I suggest that people trying this should first get used to this over a period of time. Once they are comfortable they should attempt this. Since this whole thing is in intial stages, this is good for maintenance and recovery in a stable person. A person who has MS has to live with MS and is not very serious. He gets into stable condition after a while. i have a question to ask. my mother is patient of ESRD and is being dialysed twice a week. can the method suggested by you be of any help to her. will the kidney functions restore if the treatment is taken? kindly answer my queries. It should be restored. But i have no previous experience of this. Except loosely worded experiments but some of my friends. But my trust factor is very low. One of the persons confirmed lot of improvements. But I can not rely on that. If you can test vital every 2 hours u should try this. So the cure is taking only water on day 1 and day 2 … Is that all ? Taking water on Day 1 and not taking water on Day 2. Food and rest of things in slight moderation like avoid fruits, excessive vegs etc. Please can you be more specific to the food. If I avoid all fruits and eat only a small quantity of vegetables, what are you classing as the normal rest? Rice, beans, bread? And what is slight moderation? One cup of food 3 times a day? Or a plate of food, 3 times a day? I want to follow your plan, but I love to eat (I would not want to mistake the quantity of food and damage the results of the plan). 3 meals is normal food. Meal size can be upto 500 to 600 grams. inclusive of every thing. 1/3 of the food should be carbs, 1/3 proteins and 1/3 FATs. Eating small quantity of vegs only – not recommended by me. If you have any health conditions please be specific. This is a general comment. Rajan – what diseases do you believe should be curable via the kidney cleansing strategy that you have put forward? What about insulin resistance – would that even be addressed in this way – or is there more that we can do to combat this disease. Also – can we follow this plan more than once – or as a matter of course regularly to restore our blood health? I updated my home page. You can find the answers to the above in the end of home page also. I believe every disease on this earth can be cured by the system. There is need to do more research in this area. My terminally ill father at age 80 recovered completely by using this. My Diabetic mother is free of insulin after 30 years. Her dependence on medicines is coming down. She is healthier. Recently 6 Eczema patients recovered in 48 hours to 10 days depending on how seriously they followed the process. Should work in case of cancer patients also. But still waiting for first confirmation. Hydration / dehydration is best for dark circles and for brightening the complexion. It is shocking but it is the fastest. You will see the results in less then 7 days. You cannot get rid of dark circles faster by any other method. You cannot improve your complexion more then this or faster than this. Sir , my mobile was not working , I reset and lost your contact . Now plesse send your mob.no. also . To day I got tested my blood. Please consider notes on Whatsup. I have lost your number . So profound!!!!!! Sir, u are EPIC!!!! Could this treatment help to cure gerd/acid reflux? Point 1 and 2 will do wonder in less then 7 days. Very interesting article. My daughter suffers from acid reflux can this help her? What is connection between sugar levels in blood hidration pulse and to mutch/to little stomach acid? This will completely cure GERD within 7 days. Just do point 1, 2 and 3. If you do not feel like taking sugar, no problem. For acidity etc point 1 and 2 are enough. I UNDERSTAND THAT MY RECENT INFORMATION HAS BEEN KEPT ASIDE FOR CONSIDERATION. I AM TRYING TO TAKE WATER IN ROUTINE , BUT I AM ALWAYS THIRST LESS ,THE REQUIRED WATER TO THE TUNE OF 1.5 LIT. IS NOT BEING TAKEN. THERE IS DIFFERENCE OF OPINION BETWEEN THREE FOUR DOCTORS REGARDING ISCHEM , WITH ME. HOWEVER MY FAMILY DOCTOR ADVISED ME TO TAKE DISPRIN ONE O.D. AFTER FOODS.WHICH I HAVE STARTED. DUE TO MY SLEEP APNEA PROBLEM, MY SLEEP IS NEVER FRESH. I SLEEP ON CHAIR ALSO. I SEEK YOUR ADVICE . THANK YOU , VERY MUCH. walk for 5 minutes and rest in bed for 10 minutes. Repeat this for 2 hours in the morning, 1 hour afternoon and 1 hour before going to bed at night. In 3 days you should get considerable relief. You also need to do hydration / dehydration as mentioned on my blog. Point number 1. This can be delay by about 7 days while you start walking routines. In your condition, you may start with 1.5 litres on day 1 at hourly rests. 125 ml every hour for 12 hours from 7 am to 6 pm. On day 2 you should take 125 ml 1 hour before each meal time. Total on day 2 will be 125 x 3 = 375 ml. As your health progresses well, you may start 125 x 2 and then 125 x 1 and then 0 water intake on day 2. This routine has to be done only once in 15 days. FROM 28.01.2017 ,I HAVE STARTED TO TAKE WATER IN THE TUNE OF 1.200LIT. TO 1.500 LIT. DAILY. I HAVE ALSO STARTED TO TAKE 2 GM SUGAR , EVERY TWO HOURS, FOR FIVE TO SIX TIMES DAILY. I ALSO STARTED TO TAKE 2.500 GMS SUGAR AT MID NIGHT WHEN I GET UP , FOR NATURE CALL. AS FAR AS WALK , I DO WALK IN THE EVENING , 2.5 KM. TO 3.0 KM , DAILY , AS I FEEL , LACK OF OXYGEN , DUE TO SLEEP APNEA AND SNORING. I AM ALWAYS SLEEPY. I AM ALSO SUFFERING FROM ISCHEM. (I.H.D.) RECENTLY DIAGNOSED BY BY THE DOCTOR., AND THERE FORE I AM ADVISED TO TAKE ONE DOSE OF DISPIRIN AFTER FOOD O.D. AND TO ADD MEDICINES AFTER T.M.T. TEST. Do only point 2 and keep looking for updates. Get up early. Walk for 2 to 5 minutes at easy pace. At the end of the walk you should be feeling energetic and happy and with lot of energy. After walking, get in bed for 5 to 10 minutes. Repeat this for 8 times. After every 30 minutes drink 100 ml water when starting to walk. Stop walking in the evening. Instead walk at home as mentioned in first para. Walking and resting in bed. Give feedback after 3 days of doing this. And if you feel good, please share my blog on whatsapp and facebook to help others. THIS IS NOT CLEAR TO ME , HOW EVER I AM GOING TO START FROM TOMORROW ITSELF. I suggested you to walk for 2 to 5 minutes followed by rest of 5 to 10 minutes. Let us say you walked 5 minutes followed by 10 minutes rest. Total 15 minutes. After 2 such sessions of walking and rest, it would be 30 minutes. Now u can drink 100 ml water when u start 3rd session of 5 minute walk. In 2 hours of walking and rest you can drink water 4 times. That is all. SIR, I FOLLOWED THE ADVICE FOR THREE DAYS , OBSERVED THAT THERE IS NO SPECIFIC IMPROVEMENT . I GOT URINE ANALYSIS ALSO. EVERY TEST IS NORMAL BUT SPECIFIC GRAVITY IS 1.030 ( WHICH IS MAXIMUM LIMIT ( I CONSIDER FOR DEHYDRATION ). I CONSULTED MY DOCTOR ( THE RESULT WAS NOT SHOWN TO THE DOCTOR YET , AS THE REPORT WAS AVAILABLE LATER) , HE PRESCRIBED , ANTIBIOTIC, CITRALKA , RETINIDINE , . FIR ischemic (IHD) , I AM ALSO GIVEN BY MY AYURVEDIC DOCTOR abana ,OF HIMALYA DRUG CO. Check the changes that have been made recently at http://www.healthyindianow.in. You may benefit by taking sugar and salt on alternate days. IN NUT SHELL , I AM HERE REPRODUCING MY STATUS OF HEALTH , AS THERE IS A FRESH CLEAR POSITION. THE DOCTORS MAY NOT BE GIVING TRUE STATUS ALWAYS , SO AS TO AVOID PANIC. I AM ALWAYS FEEL SLEEPY , DUE TO SLEEP APNEA. YESTERDAY , MY E.C.G. WAS TAKEN AGAIN , AS PER THE DOCTOR. LATENT ISCHEMIA , SENILE TACHYCARDIA , B.P. = 180/97 , PULSE 107 . ALSO PROSTATE GLAND ENLARGEMENT AND U.TRACT INFECTION. RIBS OF LEFT LUNG IS BROKEN (UNHEALED),( SIX RIBS EACH SIDE BROKEN , BOTH LUNGS ) AND MUSCLES WEAKNESS OF CHEST / RIBS. BEND LEFT SIDE RIBS GIVE PRESSURE / STRESS CAUSING PAIN IN LOWER SIDE OF LEFT RIBS BACK SIDE, THE PAIN REFLEX IN STOMACH. .OSTEOPOROSIS ., INTER COASTAL NEURALGIA. HEAVY SNORING AND SLEEP APNEA . SOME TIMES FEEL BREATHLESS , DEEP BREATHING DURING SLEEP. ANTIBIOTIC FOR U.T.I. ALONG WITH CITRALKA ,( 7 DAYS COARSE TO FINISH ON THIS THURSDAY). PREVIOUSLY I WAS ADVISED TO DO EXERCISE OF BLOWING OF FOOTBALL BLADDER SIX TIMES A DAY .BUT COULD NOT FOLLOW ROUTINE . I WAS FOLLOWING THE ROUTINE GIVEN BY YOUR GOODNESS TILL NOW . .FROM TODAY SHALL FOLLOW NEW SCHEDULE AS GUIDED BY YOU. REFER TO STEP 1 AND AND STEP 3 , THERE IS TWO DIFFERENT STATEMENTS FOR CONSUMPTION OF SUGAR., AND I STEP 3, NO MENTION OF SALT CONSUMPTION . WHICH ONE TO FOLLOW. FOR A LAY MAN , THERE SHOULD BE CLEAR INFORMATION FOR THE HEALING PROCESS. ALSO DURING SUMMER THE WATER CONSUMPTION IS LIKELY TO BE MORE. I will make changes to step no 3. The explanation part is ok. Sugar should be taken on alternate days. How much water should be taken in summers, is still not clear to me. There has to be scientific reason for more water in summers. In summer we sweat heavily. If water was so necessary, why the body makes us sweat. So far nature seems to be best for health. Sweating is an indication that we may not need all that water. But I am not closing the discussion. This part I will address later some time. It is mentioned that , on other days take 1000 mi water. now where are other days. it is noted that alternate days of sugar and salt, it is mentioned that 150 mi water to be taken after each meals only. the question is on which days 1000 ml water to taken ? SIR,AS ABOVE , (A) STEP 1 , DAY 1, 100 ML WATER FROM 7A.M. TO 6 P.M. = 12 HOURS *100 ML = 1200 ML. FOR THE DAY. DAY 2 , WATER 500ML BEFORE FOODS. REST ALTERNATIVE DAYS SUGAR (1/2 SPOON ) , AND SALT (1/4 SPOON ) ,TOTAL QTY OF WATER NOT MENTIONED. BUT WRITTEN , BLOW ALSO RESTRICT WATER TO 1000 ML. AND ALSO WRITTEN TO TAKE 1/2 SPOON OF SUGAR AFTER EVERY 2 HOURS. I UNDERSTAND THAT STEP 1 AND STEP 3 ARE CONTRADICTORY EACH OTHER . ALSO THE DIFFERENCE OF WATER ON DAY I AND TO OTHER DAYS (EXCEPT DEHYDRATION DAY ) , WATER TO TAKE 1000 ML. THAT IS DIFFERENCE OF WATER IS ONLY 2OO ML. !!!! WHICH IS MINOR DIFFERENCE !!!!! IN MY CASE MY WEIGHT WAS 82 KGM BEFORE EIGHT MONTHS AND NOW IT IS 77 KGM , BUT NOT REDUCING . 73 YEARS MALE , HEIGHT 157 cm ,77 gm ( reduced from 82 kgm. ) snoring and sleep apnea also , and other diseases as written in my early blogs. IN CONTINUE TO ABOVE , I HAVE INCONTINENCE OF URINE ALSO , PAIN IN LOWER light SIDE OF THE BLADDER (residual urine =120 mls. ) DUE TO RETENTION OF URINE AND PROSTATE GLAND ENLARGEMENT = 37 gm II grade . .,ALSO. in the mean time i am also taking alopathic and ayurveda medicines . the very important thing i forgot to mention , i have oedema on my foots (+ ankles are puffed up , in the evening and it is almost O.K. in the morning ) # perron me soz , this is of long standing . I am Suffering from esophagitis(inflamation of esophagus LES) because of acid reflux/Hyperacidity. The problem is that I Cant swallow food/Liquid without a glass of water.I have lost 12Kgs of weight from 70Kgs now I am only 58 Kgs. I am tired of taking medicines and looking alternative solution. Its more than a year now, Its very depressing and frustrating. Sir, Can you please guide/help/advice anything whatever you wish which can help me a litte bit??? What should I do now? Fluid retention is the only thing that I can see for acidity. And only cure that I can see is One Cure for All Diseases. I have helped people with acidity in a matter of 24 hours. Just be careful whether you have any other medical conditions or not. If you do not have any other health condition, you may try all the 3 steps to healthy you. Hi Sir, Thanks for reply. Sir my problem of inflammation of esophagus(LES) is because of Acid reflux only. I understood what you said. I just want you to answer one thing that during fluid retention process i can stay away from water but I have to gulp water whenever i eat something or have my lunch dinner and breakfast. So what should I do is it fine to take water in meals during fluid retention process?? summer has arrived , is there any change and quantity of water for hydration/dehydration system? it is about two months over but there is no change in my status. It is true that i am not following in true sense sugar consumption.My sugar level is not under control. Sleeping one hour after walking for 5 minutes is ok.
You can chose to drink more water during summers if you want. But reduce water intake substantially once in 10 days. I cannot offer better help on sugar consumption. It is very complex issue. You will need to discuss with your doctors if you are diabetic. kindly accept my pranam for doing such a great work to help the mankind ! you have shown the rays of hope to millions of people who are in the trape of pharma industry !! your theories have very profound, logical and scientific base…so that it cant be ignored by rational people. My problem is morbid obesity since 15 years : aged 43 yers male; height 173 cms; weight 93 kgs..read your posts and blog on quora and found it imense helpful ..i hvae staeted alternate walking and resting method from today…i have also joind a gym since three months . plz gide me further for weight/fatloss …!!! I has been 10 days. You tell me how you feel so far. Is there any weight loss and improvement in stamina. There is No change in weight although my stamina is increased slightly.. May be I’m not following the exact timing for walking or resting periods..sometime I walk for 3 or 5 or 10 minute and rest for 5, 10 or 30 minutes ! Does it matter a lot ? Also I do strength training and cardio exercises in the gym.. I get dehydrated there in the gym so I drink one litre of water pre, post and during work out ! My blood sugar is between 99 to 110 Fasting and 130 to 160 pp ( my fasting sugar denotes as I’m pre diabetic! Isn’t it so ? I have fats accumulated mostly in my midsection.does it mean I’m insulin resistant ? Now I request you to plz guide me in details so that I could get rid of my ailments! plz look into my above mentioned problem and give me suggestion ! Will this regimen help someone suffering from Rheumatoid Arthritis? Thank you for this. I have been experimenting with different aspects of the cure and achieved some wonderful results. I will try to summarize concisely for your readers. I am a 50 year old peri-menopausal woman with chronic migraines and depression 20 years. 1. Started with 4 day hydration/dehydration when you recommended alternating salt and sugar on different days. This had the effect of reducing my hot flashes significantly. Urine remained light for about two weeks afterwards. 2. Following week I started the walking/rest cycles 3x morning and evening. Within 3 days my energy levels skyrocketed, and an unshakable happiness overtook me. After 1 week I was able to return to activities that normally would cause a migraine, and had no problems whatsoever. 3. Tried the 36 hour dehydration you mention on another post about 10 days later. This was challenging to complete. I did have a few tiny sips of water during that day, but mainly abstained even though I was thirsty all day. Over the next week my digestion reset itself and cleared up intestinal pain I didn’t realize was a problem until it was gone. Skin texture is smoother. Inflammation in my joints gone. Gums sealed to my teeth better than a dental cleaning. It was difficult returning to normal levels of fluid intake following the 36 hour dehydration. If I try this approach again I will be adding salt to the water after dehydrating; I never seem to get enough salt. 4. 5 days later I injured my back in the area of my sciatic nerve. This was a setback and has taken many days to recover. No regular walking/rest for several days. Energy levels dropped, mood became more erratic, close to migraine twice since then, but not a full-blown migraine. Walking/rest helped control it. Hot flashes increased. Looking forward to the next dehydration cycle to fully resolve the new inflammation this injury created. 5. Resuming a disciplined walking/rest cycles 3x morning and evening about 3 days ago. Energy and mood are better, still recovering as of this writing. 6. Today I started an experiment with the small amount of sugar each hour without dehydrating. I suspect this is effective for hormone balance so I’m testing it out on its own. Plan to repeat the 4 day hydration/dehydration after a few more days of trying the sugar doses alone. So far it seems to have reduced my excessive need for salt, but it’s too soon to tell for sure. I will report back with more results as I proceed with testing. Overall this is the most amazing approach to healthcare I have found and easier to implement than anything recommended anywhere else on the internet. I cannot thank you enough. I am trying to spread the word. I am making some changes in my home page. Please check the new home page. I am Vinay, I am diagnosed 4mm kidney stones at both sides as well as in gladder. What treatment do you recommend for this? I am skinny too. Saw your weight gain technique but couldn’t understand properly. Just by reducing intake of water and having gulab jamuns can weight be increased? If so how long we should take it? But kidney stones require more water intake to flush out the same, these two are contradictory. This is misconception that kidney stone requires more water. Drink 200 ml of water on day 1. Drink no water on day 2 (36 hours) will help you flush out your kidney stone in 48 hours to 96 hours. I am doing hydration dehydration for last 10 years. My creatinine was 6.5 and 7.7 in May 2017. YOU MENTIONED CREATENINE AS ABOVE AND I THINK THERE IS PEN MISTAKE . THE MSXIMUM CREATENINE SHOULD BE 1.4 AS PER STANDARD , NOT AS SHOWN , IF YOU CONSIDER RIGHT . I have really bad oral thrush in my mouth/throat (maybe caused by candida), have had gerd, epstein bar virus, pelvic floor disorder, kidney stones, (had rheumatoid arthritis but cured it myself naturally), diabetes, and other immune issues. I am highly allergic to sugar…my joints get swollen and hurt me if I have any processed sugar or even organic sugar. I haven’t had any for years and have stuck to a super organic/strict diet for the most part. I’m okay sometimes with the sugars in fruits or natural occurring sugar, but not that white stuff. I feel that sugar will feed the candida and I won’t be able to cure my oral thrush or the candida in my organs if I follow your plan with the sugars. I have tried so many things to get rid of this candida in my mouth and throat but haven’t fixed it yet, have any ideas? One cure for All Diseases is the only solution. Sugar does not cause swelling. Lack of sugar or excess of sugar causes swelling. I have tried this on kidney failure patients and on people who have been suggested pancreas transplant. It works. Sir i have a 3 years old daughter. She is suffering from ECZEMA for the past two years. We treated her with allopathy in the initial stages but no cure. Then a year ago we started giving homeopathy. She is recovering from the disease but not completely cured. She will scratch her hands and legs often and itching worsens at night time. Sir can you help my child? How to follow the hydration cycle for her? Eagerly awaiting your reply. Many thanks to you. The provided information is not adequate to assess the hydration level of the baby. Hydration dehydration cycles are suggested to take care of any mistake that may be made in assessing the current hydration level of the child. 25 ml water every hour should suffice for baby. In case of frequent urination one may reduce the amount of water or increase the the time gap to 1.5 hours. In case the baby is drinking excessive fluids already, one may add a few grains of salt to the water for 1 to 3 days. Withdraw any caffeine product that she may be consuming like chocolate etc. No cold drinks or packed juices for her. She may need to repeat hydration dehydration cycles for 1 to 3 weeks. Once every week. Thank you for your valuable information sir. Can you suggest some methods to smoothen the thick skin in her legs due to eczema? pls, could you be more explicit and precise? Do you mean, that in 3 months, it should be 6 repetitions? First 4 days, then 10(what to do in this gap?) then repeat 4 days….? Day 1 to day 8 – Drink 150 to 200 ml water with each meal. No more water or other liquids. So total liquids during the day not to exceed 500 to 600 ml. Day 10 – Drink no water or other liquids. In 30 days you should be perfectly alright including UTI. In fact UTI relief may be there in less than 7 days. Give feedback after 7 days. This plan is much better. This is universal and easy to implement. ([1-8,9,10] = 10 days >> [1-8,9,10] = 10 days >> [1-8,9,10] = 10 days) = 30 CONSECUTIVELY days ? pls, could you be more explicit and precise for dark spots? Day 1 – Drink 200 ml water every hour from 8 am to 7 pm. Day 2 to 7 – Drink 200 ml water with each meal. No other liquids. Dark spots will disappear before end of 7 days. Your skin will be brighter. After 7 days do whatever you like. Drink as much as you want. Because you know what to do whenever there is problem. please tell me schedule for dark spots…. I don’t really get it. Is the hydration-dehydration cycle different for different ailments? I suffer from sinus and hay fever (dust & smoke allergy), usually have a persistent lower backache and these days what troubles me the most is acidity.. It’s been 3 months and I feel acidic after every meal. Not able to eat properly. I eat very light and still get acidity. It is same for every ailment. We need to manage our body fluids correctly. Sometimes lack of fluids also cause excess of body fluids. So be careful. It your total fluid intake is more than 1.5 liters a day,you can try hydration dehydration cycles as well as walk and rest routines. Gor updated information about these read my landing page on http://www.healthyindianow.in. I am not updating acidity and other pages. The other pages have old information. I am following the hydration/Dehydration program since one week and walking and resting process too. Now please confirm me on day 7 what i have to follow, same as day 6 or NO fluid overall the day. It would be helpful for me if you share me the updated hydration/Dehydration program. I have been recently come to know that i am having high bp 140-145/90-100 and creatinine level as 1.30. My father has meniere’s disease. Will this be helpful in curing the disease? Yes, One cure for all Diseases will help him. It will cure his condition completely very soon. Thank you for such great theory you gave, will try your program as soon as possible. Can i also include dry fasting with your program. Dry fasting is a spiritual practice done in many cultures it is their way of purification and healing, dry fasting is the abstinence from both food and water in a certain time. I suggest maybe dry fasting can further enhance your theory or program. I recommend dry fasting for 12 to 18 hours in case of diarrhea only. Even a grain is bad and harmful during these 12 to 18 hours. I think there is no need of dry fasting. But I am always open to new ideas. My limited experience does not see any advantage of dry fasting except in case of diarrhea. I have never crossed 12 hours of dry fasting in case of diarrhea. And after 12 hours I can eat anything. And if I try any other thing, it used to take 7 to 10 days. Thank you for your response on my message, I appreciate it. One more thing mr. rajinder, on your updated “one cure for all diseases” it dosen’t include a day where one will not drink water, which is different from your previous hydration dehydration cycles. my question is, is theres still any situations that we should not drink water during hydration dehydration cycles? In eczema and other skin diseases it works faster if one does not drink water for 36 hours on day 2. But I believe the current system would be better and safe even if takes few extra days. 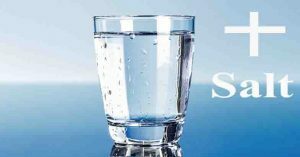 In case of Eczema and other skin disease recovery is very fast (in 6 to 7 dayz) if one does not drink water for 36 hours. But flip side is that is flares up for 2-3 days in between and reoccurs after 2 to 3 months. That has to be followed up with another dehydration. The current one is not tested on more than 1 person. It took about 20 days for recovery from eczema. I think we need to do more tests on this aspect. good day sir i’am an engineer, and in my work place the temperature is always 35 to 40 degrees celcius, that is why we sweat a lot when we work. i try your current hydration and dehydration system, which i only drink water with meals only 600 to 900ml during week days and drink every two hour in weekends 1200 to 2700 ml in these days, and it always took me 2 to 3 days only and cant hold the feeling of thirst, that is why i cant complete the system for the whole week. You will get used to this over 1 to 2 months. Keep trying. Is it advisable to try this protocol even if I’m chronically dehydrated and feel thirsty all the time? I honestly don’t even know if I could bare doing the dehydration cycle. My throat dries up and I feel thirst so quickly. Yes. It is meant for you. You can start slow. Drinking right amount of water (200 ml) with meals and limiting fluids at other times should help you in providing relief from excessive thirst. I believe that one feels thirsty only when the blood volume goes down. If one drinks water with meals the blood volume goes up. But one needs to drink only 200 to 300 ml water with meals. More will not add to the blood volume. Besides meals one should reduce water intake. When feeling thirsty one should take only 1 sip and then wait for 15 minutes before taking sip (after 15 minutes sip is to be taken only if thirst strikes again. But this is for few days only. Drink 600 ml on day 2. Repeat day 1 and day 2. During night every body dehydrates. We need to dehydrate on daily basis. Over emphasis on hydration has caused most of the diseases. There has to be balance between hydration dehydration. So if we are not sick and not drinking too much fluids, there should be no need to dehydrate excessively. Mr Rajinder….all i usually eat is fruit and vegetables mostly raw. I am now 68 years old have hepatitis C and began having high blood pressure…..for the rest i´m pretty well…never took allopathic medicine (am against it for obvious reasons)…what do you advise me? Yor regular protocol? Thank you! Lower blood pressure represents the blood volume in your body. Higher blood represents the amount of excess fluid in your cells. Fruits contain lot of fiber. Long term consumption of fruits and vegetables cause inflammation of the small intestines. In the beginning it results in increased absorption of nutrients in small intestines resulting in better energy levels. But as time passes too much fluid is absorbed in small as well as large intestines. That results in high blood volume as well as high cellular fluids. Solution would be to eliminate fruits and vegetables completely (raw ones). Do hydration dehydration cycles. Hydration dehydration cycles also helps in balancing of the minerals. The aim of allopathy is also mineral balance. But the way it is done, nobody ever gets the results. Changes in minerals lower the BP for some time. But since focus in on permanent medicines for BP, the benefits are lost after few months. Same way the benefits of fruits and vegetables also do not last forever. Following a particular diet (of any type) is bad for health. Do walk and rest as well. You should be able to see some initial gains of this within 48 hours or so. But thereafter there will be ups and downs. It may take upwards of 6 months to get real benefits. Please do indicate your average blood pressure numbers for information. Thank you Mr. Rajinder….my blood pressure was very erratic….during the day it is between 110/70 and 130/80 but the problem is at nights it could go from 130/80 to 160/95….and the worrysome part is there are fast variations. I am on the 5th day of the dehydration and tomorrow i´ll start the hydration as per your updated version. I went on eating fruits in the morning and night BUT the good news is that my pressure came down during the days and also at nights in such a short period of doing the dehydration. Now an almost steady 110/70 during the days and never over 13/80 at nights. Another question is: how much water would be adequate for me to drink on a daily basis? My height is 1 meter 60 cm I weigh 59 kilos and am 69 years old (not 68 anymore) I was drinking much at one time: usually 2 and half liters everyday all in the morning. Please tell me what would be the ideal? Thank you again. PS: Just took my night pressure and it was 105/68….wow! It is now 11:30 pm…usually it would read over 140/88 or so. Yes. It is ok to drink water between meals. In fact drinking 200 ml water with meals is good for diabetes and other health conditions which are caused due to low blood volume and circulation. PS2: Really weird…..as i was going to sleep….it is now 12:30pm i had a last reading and it was 136/8…see it is erratic…but at least it´s not going up as it would. Any comments? Suggestions? A plan? Do not dehydrate too much. Be slow. With BP one should reduce fluid intake slowly. BP fluctuates all the time. Bring in changes slowly. More so I am not a doctor. So be careful. Hoe much water should I drink on a daily basis???? When NOT doing dehydration/hydration? Always drink water with meals as well out of the above mentioned quantities. Another question: After a while would it be good for me to just do a 36 hour dehydration a month? Good morning Mr. Rajinder. Could you please answer EACH question? 1) How many times should I repeat the following routine in 30 days? 3) After that period would it be good for me to just do a 36 hour dehydration every month? If minerals are perfectly balanced, there will be no aging or disease. There will be no sadness etc. One will be in perfect state. It is impossible for any person to lay down “How many times one should repeat the routines”. These are broad guidelines. Within these guidelines one has to explore what works best. Yes it is generally good for a healthy person to do 36 hours of dehydration once in a month. In case a person is on medicines one should train his body gradually over a period of time. This is supposed to be One cure for all diseases. Disease is caused due to mineral imbalance. It address mineral imbalance. Please share your fluid intake details. Also share your food and other details eg age weight and height. You can also communicate on phone or whatsapp on +919971730965. With so many problems it is difficult to advise. But do consult with doctors from time to time. Increase water intake to 2.5 liters tomorrow. Repeat these for 6 days and give the results. My problem : Suger level On fasting 14o After breakfast 190 – continue for 3-4 yrs. Maintained with Ayurveda medicine. On morning hour my stomac is in good condition, After noon getting destructed. Gas and poo once in afternoon. 5:Oclock: 300 ml. 7:30 1 Glass 9:30 1 Glass -Water/Milk. Take 1` glass of water with each meal. No other fluids for 5 days. Check blood sugar levels and give feedback. Hello and I wanted to share this article here because it discusses primarily the energy levels expended by the brain. I thought this information was very relevant to your topic as well as other interesting facts on energy use and expense of bodily functions. Also I didn’t know our brain uses glucose energy more than any other organ. Thanks for the link. The brain uses lots of energy while running. It has to coordinate 100s of muscles for the movement. There is a lot to learn in this area. I read your post on Quora about dry skin, I found it interesting and landed in your blog. My skin is pretty much dry, I apply moisturizer(Nivea mainly) thrice a day, but still skin become dry, whitish skin come out, looks really bad, sometimes itchy as well. Sir can you please suggest Hydration/Dehydration treatment. If yes what would be the routine. Please share your current fluid intake. Hi Rajender sir, read your posts and I am quite inspired by your theory. Thank you so much for the time and effort you put into helping others get better. I am going to start trying this tomorrow, I have been suffering from migraine auras for the past month and eyes are sensitive to light. My father has had Multiple sclerosis for the past 10 years. Will this water treatment help him? Just wanted to make public what I already told you through whatsapp. My blood pressure normalized after one time doing your protocol. You definitely have some real good theories because they work! Thank you for your generosity in being so accessible to people in need! Such is a very precious quality nowadays! Drink 200 ml water with each meal. No other fluids. No tea, milk or other liquids. If you feel thirsty take 1 small sip of water. In 2-3 days you will stop feeling thirsty. After that follow hydration dehydration cycles as mentioned at – https://www.quora.com/profile/Rajinder-Bhalla-2. Expand my profile. All other links are given in the profile. Day 1 and 2 – Drink 200 ml water every 2 hour from 8 am to 7 pm. Out of this with meal 1 glass of water. Total 1200 ml water/ fluid. No other fluids and water. No tea, coffee, milk etc. Day 3, 4, 5 – Drink 200 ml (Depending on the meal size, if the meals size is on lower side reduce water) water with every meal. So 3 meals in a day would mean 600 ml water for the entire 24 hours. No other fluids to be taken on these days. No fruits or coconut water. No salad. Every thing will contribute to body fluids. If taking fruits etc reduce the water intake by the weight of the fruit. Day 6 – Complete dehydration. Day 7, 8, 9 – Drink 200 ml with each meal. Day 10 – Complete dehydration. No water, fluids etc to be taken. These 10 days can be repeated again. People with high BP and on medicine should not do complete dehydration for first 30 days. They should monitor their BP regularly since the medicines effect the fluid balance of the body. Those who have been diagnosed with high BP recently and are not taking medicines can start the above. Which method should I follow the first one or the second one. It is for my varicose veins, bearing in mind that I have also high blood pressure. Do not forget about walk and rest routines. You will need to do that regularly. 1 hour morning and 1 hour evening. Thank you very much, I have already started walk/rest routines. Thank you for your work and information for helping others. I have 5y old with eczema and was wondering how i could help with this method. Could you please advise on some steps to address the eczema. I have recently started giving some mineral powders in water, a glass before a meal. as I realised there could be some mineral deficiencies, also for growth. We are using mineral salts, no sugar but use honey. I was told by someone that if the liver is not processing waste efficiently, the waste is coming out of the skin. I myself have problems with dark spots and circles and skin issues, acidity. Dietary triggers happen when there is imbalance in minerals. Minerals are fast balanced by hydration dehydration cycles in 48 hours. Eliminating diet is not a cure but controlling the disease. That is not my target. Every disease can be cured by hydration dehydration cycles and walk and rest routines. Sir recently 14/3/2019 I come to know that my sugar lvl in fasting is 375 I could not believe but test is test I’m not on medicine and pray not to take I’m confused please help me what should I do . Call me at 9971730965. This can be cured without medicines in 7 days. No need to worry. I saw your comment under a Quora thread on IBS (Irritable bowel syndrome). As I have IBS, my diet must be wholly based on organic food as well as reduction in animal protein, fiber and spices. As a cause of this, I believe my food intake must include higher amount of water. If possible, can you suggest me some diet tips that I can follow duly. If you do, I can proceed on following your technique positively. More tips from your side is totally appreciated. IBS is said to be incurable. Incurable because, the cause of IBS is unidentifiable. But some comments like yours have given me hope and have influenced me to move forward in finding a cure which I believe does exist. IBS has nothing to do with diet. There is not enough energy for the digestive system in IBS. There is no logic for higher amount of water if one is not taking protein. In fact there is no need for water in case we are not eating. I have no idea about diet that is good for a particular disease. So I do not restrict the diet. I restrict the carrier of diet. That is fluid in the form of blood. IBS and every other disease is incurable. You may not have read about other diseases. GERD (Acidity), Migraine, Cold and cough, Sinus, Celiac, Diabetes, BP, Heart Disease, thyroid, Eczema, psoriasis, vitiligo etc. There is not cure for any disease. Listen to my youtube videos. Every one tells his story. That when he/ she tried a cure there were other side effects which made them stop the medicines. But in One cure there are no side effects. A person who tries for cure of one disease finds at the end that his other diseases / conditions have also improved or cured. hello sir,my uncle was diagnised with stage 4 lung cancer…my husband thinking of taking homeopathy medicine from jaipur doctor rishi…becos he has high succes rates in treating…but for each month he takes nearly 50k ..and need to follow for 5-6 months…my husband is beliving him truely…he wants to continue this with allopathy….plz give ur suggestion on this …how true is homeopathy. And does this can be cured by hydration dehydration cycles…he is at stage 4 and doctor says he will be having lifrtime of max 6 months…. 7 weeks ago I developed sciatica and while browsing the Internet for some help I’ve found your blog. I strictly followed all your instructions about “One Cure for All Diseases” (including the exercise and walk and rest routines). After five days my sciatica really faded away. So, thank you million times! I have also been a systemic lupus erythematosus patient for about 35 years now, initially with lung and liver involvement, but later lupus also affected my central nervous system. I continued following your instructions and my condition improved, so that I have no pain at the moment. Last week my rheumatologist made some blood tests and he told me that lupus was no longer active. Now I feel much, much better, but I’m still worried because my central nervous system is improving so slowly. So that I can barely walk and move my arms because of my poor coordination and muscle weakness. I hope I’m doing the right thing and I sincerely hope, that you have some additional advice for improving my condition.